Rainy days call for cake! 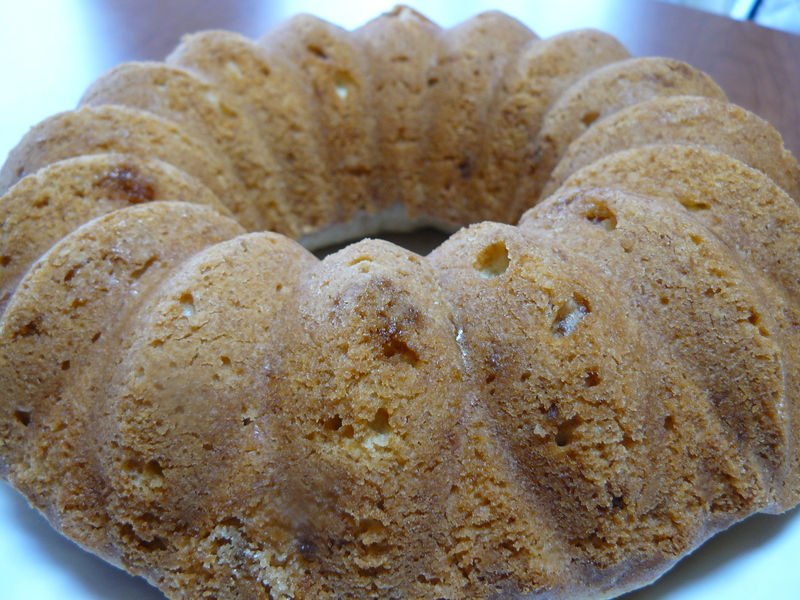 “Rainy days and Mondays always get me down.” But a piece of the ginger brandy tea cake I baked yesterday made this morning a bit brighter. 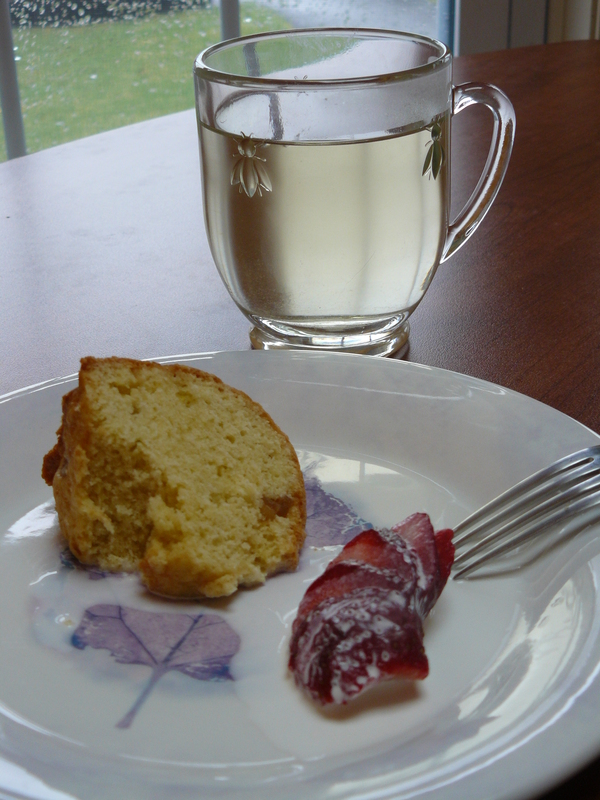 A cup of my favorite Imperial Velvet oolong didn’t hurt, either–both specialties of Sundial Gardens. I wasn’t sure I wanted to highlight my second “baking with a goose egg” foray. As mentioned previously, goose eggs are tough to crack. Armed with this information, I gave ol’ goosey a nice, vigorous whack–and along came a sprinkling of shell dust. That wasn’t going to work, so I lost part of the egg there and on the stove. Very attractive–talk about not knowing your own strength! OOPS. I probably should’ve thrown another egg in, but at the time, didn’t think it was such a major loss of volume. Long story short, it is a delicious cake, but didn’t rise like Mr. Goddard’s because he used the right amount of egg. It really is quite the treat, regardless: boozy, gingery and wonderful. Especially so because of the quality of the ginger coins they sell at Sundial. Their ginger is exceptionally perfect. It should say something about the recipe, that even not quite right, it’s a cake I’d be proud to serve–except for the fact I keep nibbling away at it. So if you’re within driving distance and want a sample, better hurry up and get here. Let’s hear it for eating locally. 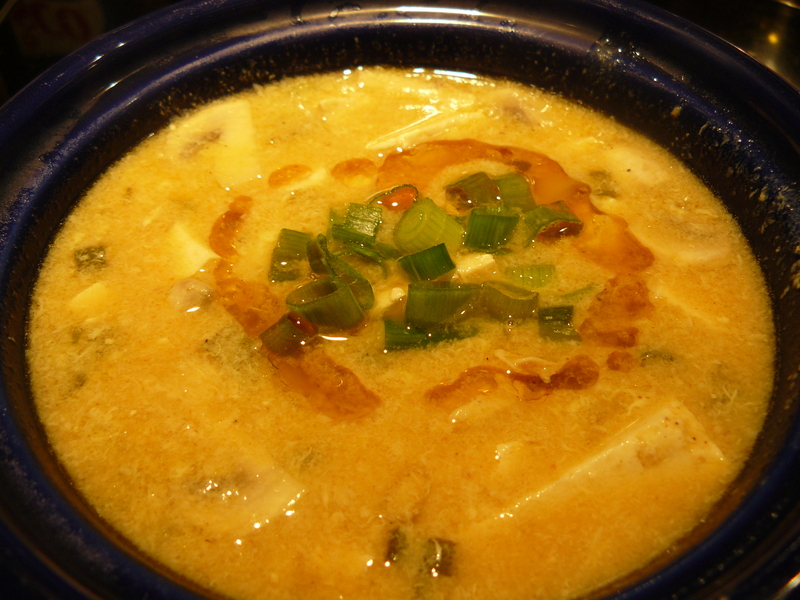 This hot and sour soup, adapted from Food & Wine, features tofu straight from 06457: The Bridge. 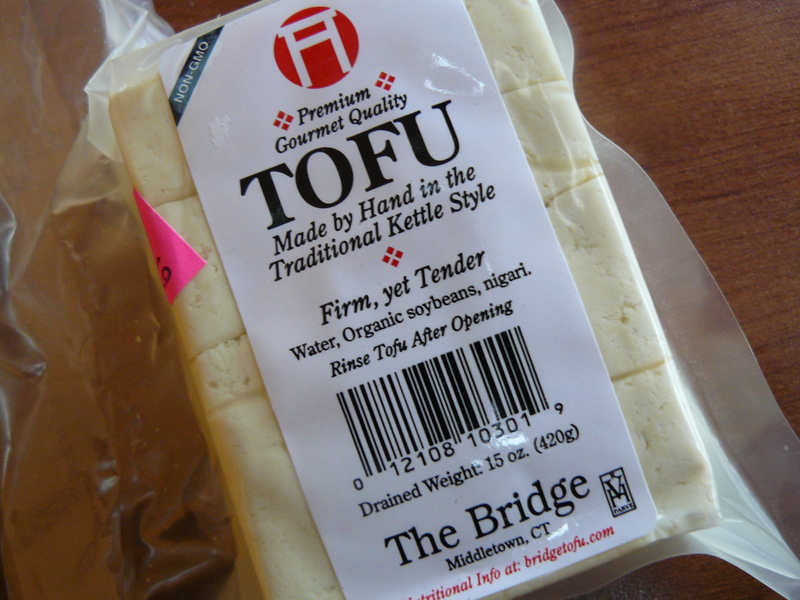 For years, I’ve known tofu is made right here in my hometown–Middletown, CT–but up till a few weeks ago, I hadn’t tried it. Check their website’s “where to buy” tab for availability near you. Locally, you can pick some up at It’s Only Natural Market downtown in the North End. I’ve made this recipe three times already and love it. Tonight I used chicken instead of pork and was really pleased with the result. In a large saucepan, heat the canola oil. Add the chicken, 3 out of the 4 scallions, ginger and garlic. Stir-fry over medium heat till the chicken has cooked through. Add the chicken broth and bring to a simmer. Add the tofu, mushrooms, bamboo shoots or water chestnuts, rice vinegar, soy sauce, sugar, sriracha, pepper and 2 teaspoons of the sesame oil. Return soup to a simmer. Whisk the cornstarch with 2 teaspoons of water, then whisk into the soup. Next, whisk in the eggs and simmer for 1 minute. In each bowl, add a swirl of sesame oil and sprinkle with the remaining sliced scallion. Now tell me you don’t think this is far better than most hot and sour soups you’ve had in restaurants. Ever. Sending you a picture postcard from 06457, home of The Bridge and Katty’s Kitchen. Soup's ready--wish you were here! 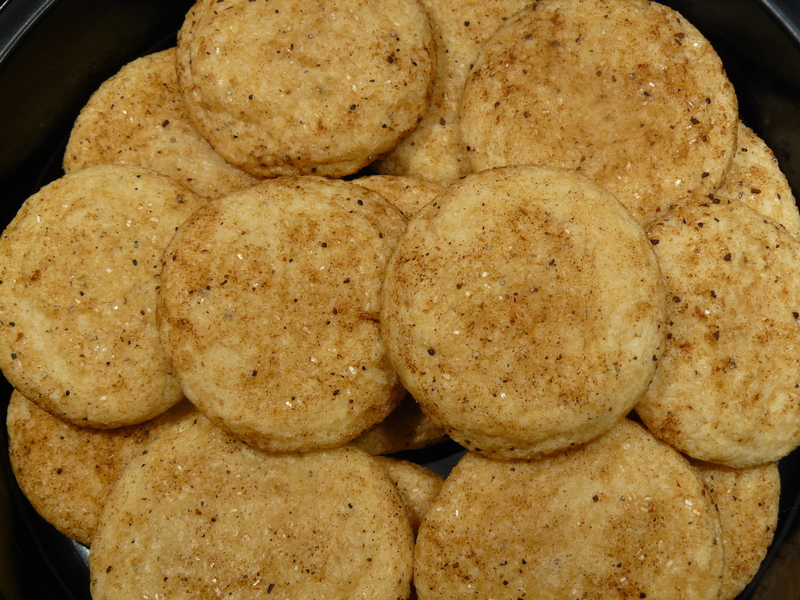 As an old school snickerdoodle lover and native of the Land of Steady Habits, I was intrigued by the idea of chai snickerdoodles. Did you know (like me!) 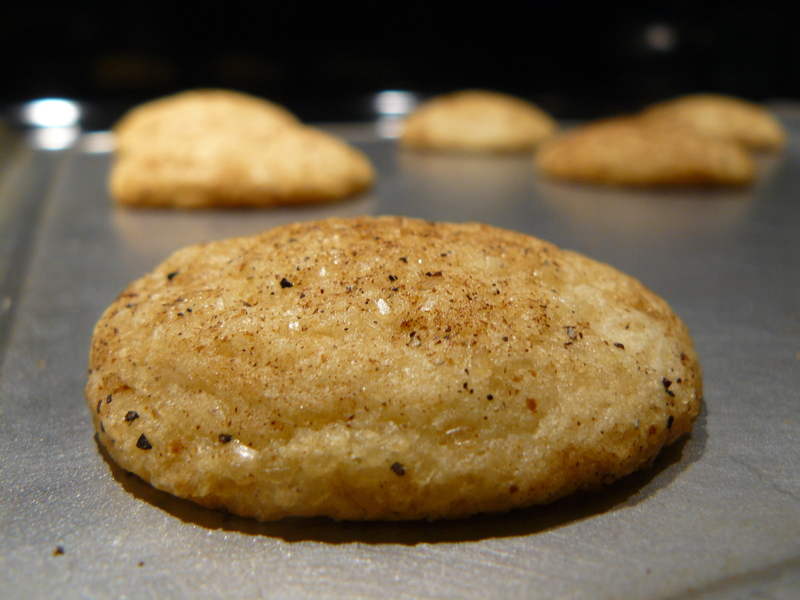 the snickerdoodle is a Connecticut original? 🙂 I thought it would be interesting to make my own chai spice blend. It’s quite simple and makes the house smell fantastic! 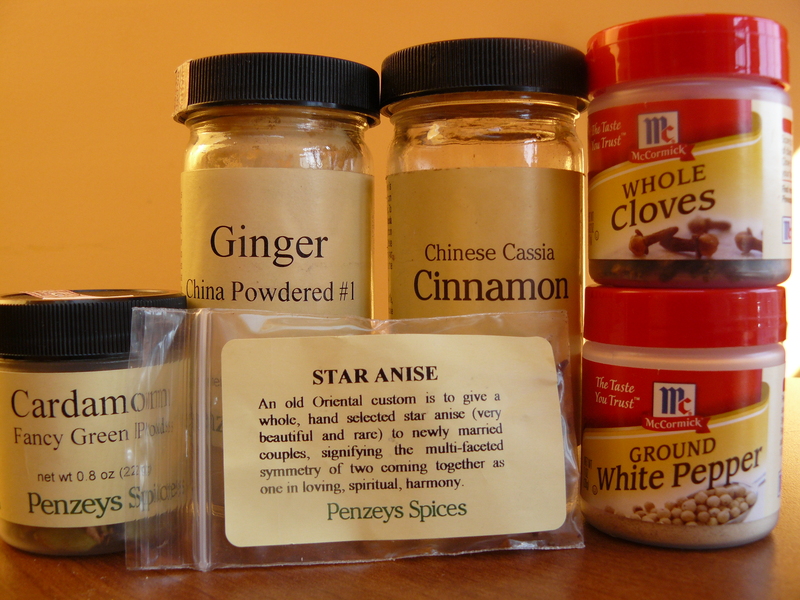 Buzz these spices up in a mini-food processor et voilà: chai spice blend and an incredibly fragrant kitchen! Wait till you bake these cookies! Cream sugar, shortening, vanilla and eggs. Add dry ingredients. Combine and chill in the fridge for approximately 1.5 hours. 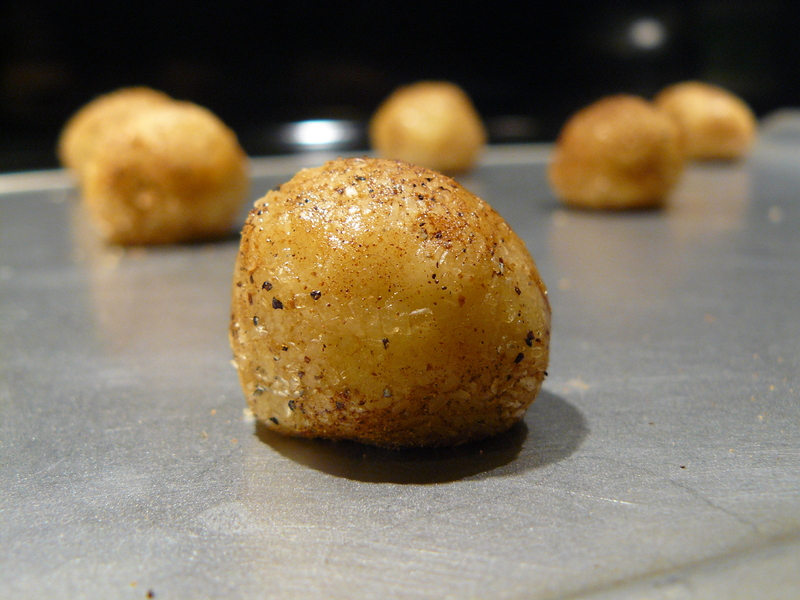 Fun snippet from Mrs. Nelson’s original recipe: “Form in balls the size of small English walnuts.” Got that on visual? These little chai spice cookies have a nice bite and are a flavorful twist on a Connecticut classic. You must try them! Irish Car Bomb Cake: Sláinte! 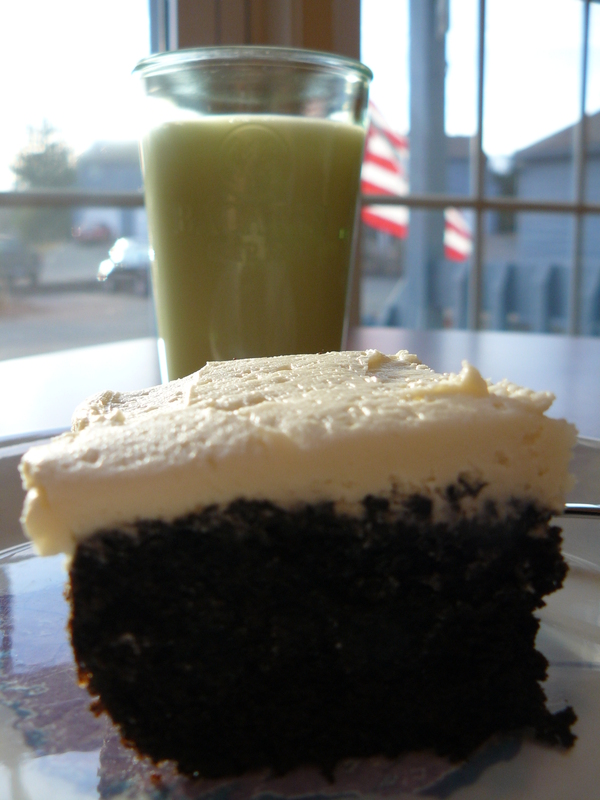 With St. Pat’s just around the corner and Guinness in the house, my thoughts turn to Irish Car Bomb Cake. Rather than follow other recipes I’ve seen, I took Hershey’s Deep, Dark and made a car bomb out of it. It’s fantastic. Dare I say: It’s da bomb. 🙂 Ready for these easy modifications? 1. Substitute the cup of boiling water for Guinness. The changes in steps two and three are negligible, so you can easily follow the original recipe with just the Guinness substitution to keep it simple. It makes a truly “deep, dark,” moist, delicious cake. 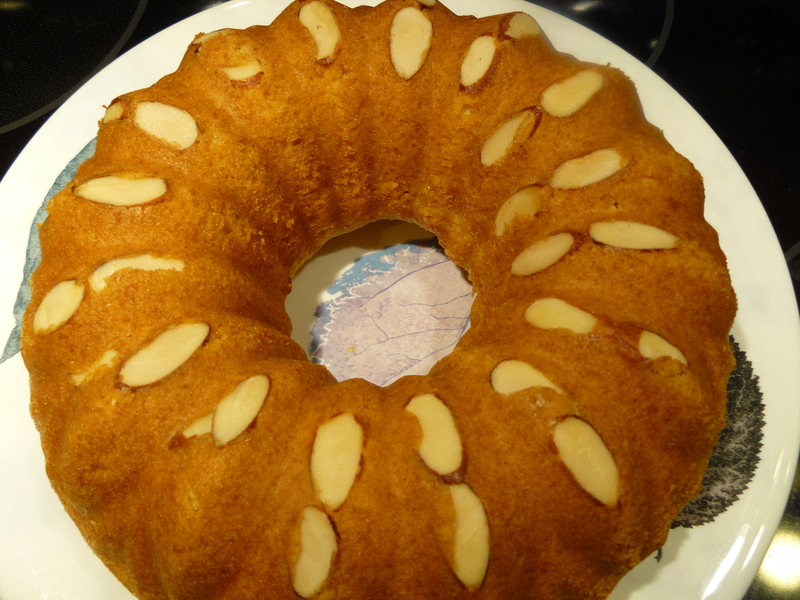 Once I even forgot to put the eggs in–and though the cake was flatter than usual, it still tasted good. How’s that for foolproof? 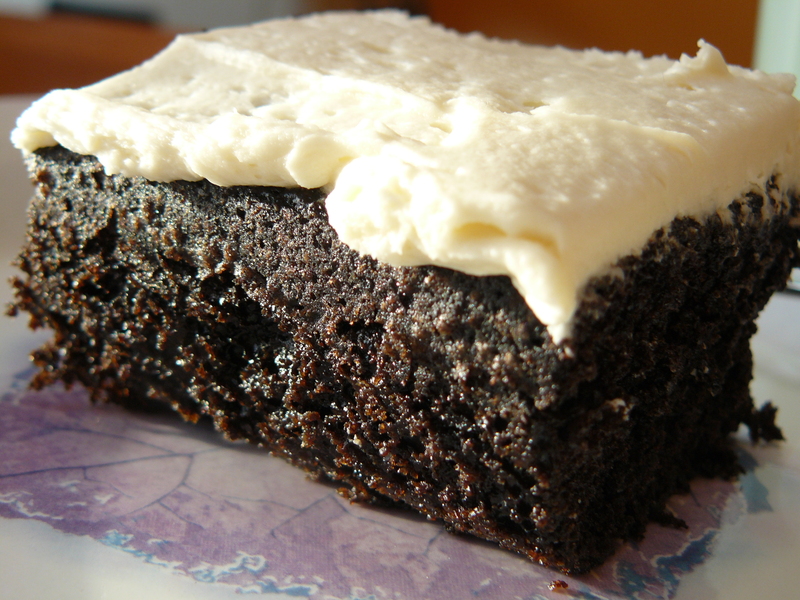 What really makes an Irish Car Bomb out of this cake is the frosting, so let’s do it! Beat butter at medium speed for a few minutes. Turn mixer to low to add sour cream, Bailey’s and Jameson’s. Gradually add confectioners’ sugar and salt and increase mixer speed to get the frosting nice and fluffy. It may not be breakfast of champions, but it certainly is a tasty treat…and leaves my (partially) Irish eyes a-smilin’! The great American chocolate cake, Irish-style, with milk! 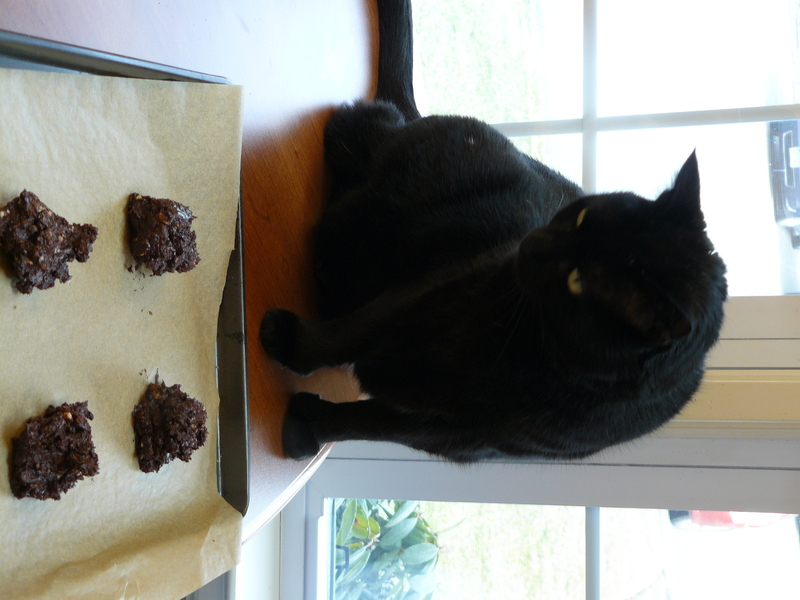 Last week, I tried a variation of Payard’s Flourless Chocolate Walnut Cookies. 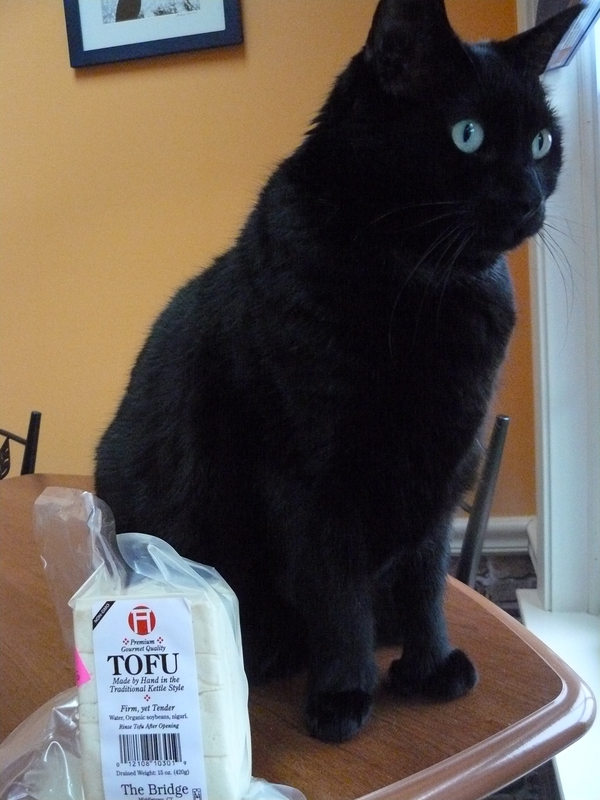 Deep, dark chocolaty, “chewy, gooey,” gluten-free, even–a bonus for two of my girlfriends. I substituted pecans for walnuts and added ground espresso and white chocolate chips. OK, cool. Game on. Imagine my surprise when I put the cookies in the oven. They did not spread out. They did not form cookie-like shapes. They maintained their hunk of dough forms and…did not bake. Nothing like going out to buy special Valrhona chocolate for baking, only to open the oven door to discover there isn’t a whole lot of baking going on. Quick–turn up the oven to 330! That’ll fix it. No, not quite. Hmmm, just three more minutes, maybe. OK, five more. 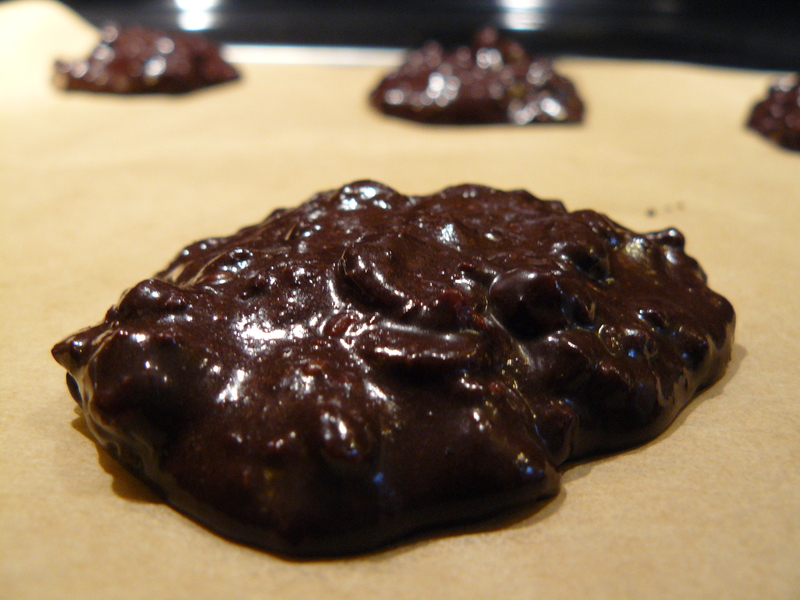 Long story short: I baked a dozen chocolate rocks. Remember, this is why the Italians call them biscotti–it’s their fancy word for rocks (kidding!). The rocks were quite tasty, but I didn’t intend to bake jawbreakers. Thankfully, my mom thinks they’re the best rocks ever and has been enjoying them dunked in tea. Preheat oven to 350 degrees F. Spread the pecans on a baking sheet and toast in the oven for about 9 minutes, giving them a shake about halfway through, till they are fragrant. 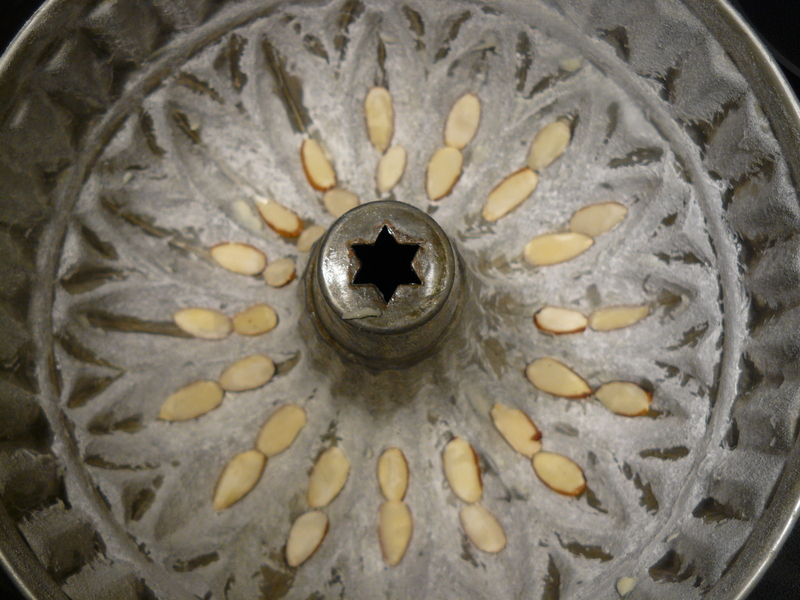 Let cool slightly, then coarsely chop the nuts. Whisk together cocoa powder, confectioners sugar, ground espresso and salt in a bowl. Add chopped pecans. Slowly add egg whites and vanilla to cocoa/nut mixture. 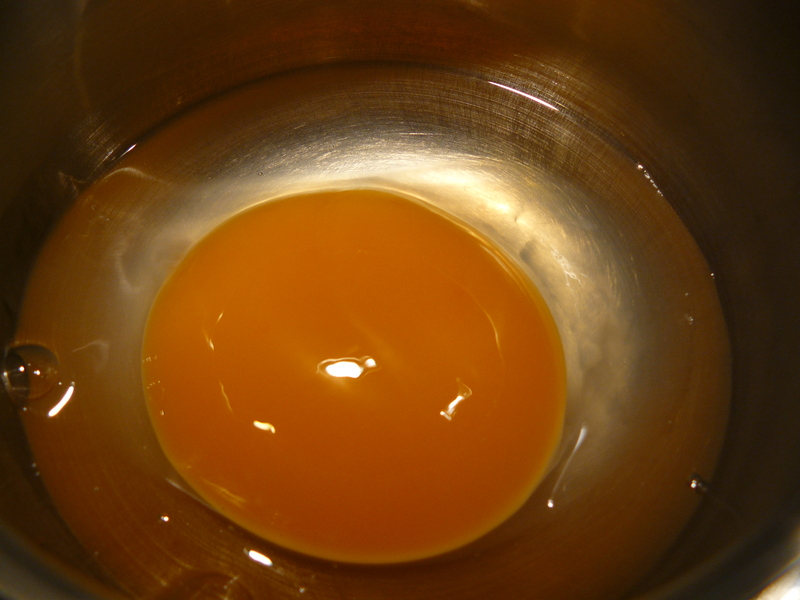 Beat batter at medium speed until glossy, about 2 minutes. Do not overbeat. I added 7 raspberries, somewhat afraid to add a whole ¼ cup. Next time I’ll be brave. Smash each raspberry into the side of the bowl with a fork. Stir in white chocolate chips. Use a tablespoon to drop batter onto a large baking sheet lined with parchment. Leave some space between the cookies because if the temperature is right, the batter will spread. Put baking sheet on middle rack of oven, then reduce temperature to 325 degrees F. Bake until small thin cracks appear in tops of cookies, 15 to 18 minutes. 18 minutes will give you a crispy cookie. 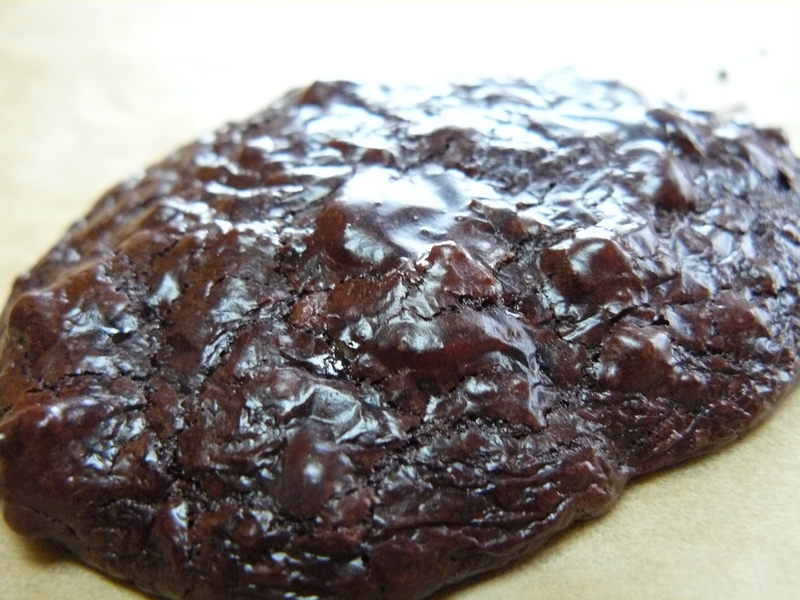 Around the 15 minute mark produces a cookie with a chewy, brownie-like texture. Cool cookies completely on baking sheet on a rack and peel from paper. HOW ‘BOUT A MEXICAN CHOCOLATE VARIATION? Spicy and delicious, hot chocolate! Have you ever seen a goose egg? Held one in your hand? 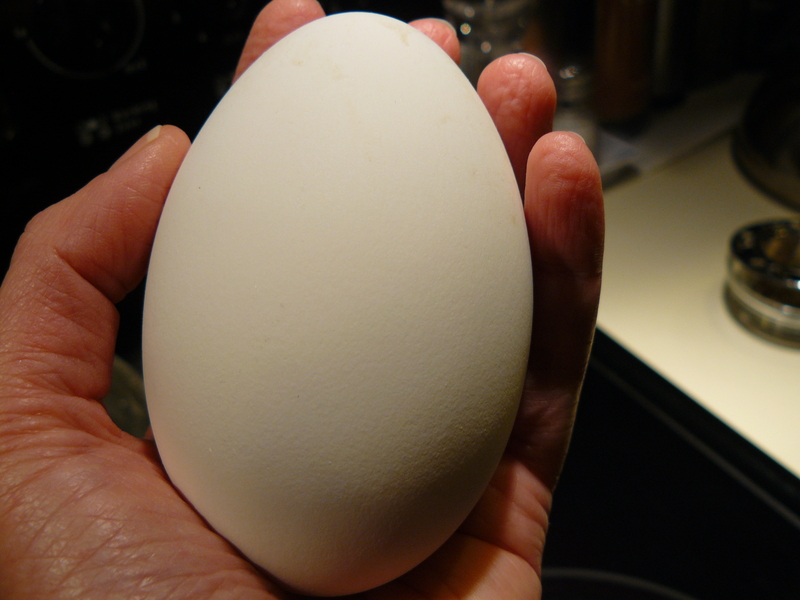 Last week, we visited our friends’ farm and returned home with two goose eggs–good for baking, they said. What better way to showcase a farm-fresh local ingredient than to bake a recipe from a very talented local pastry chef? I googled and determined 1 goose egg should approximate 2 hen eggs. Okeydoke. Tom’s recipe calls for whole almonds. I used sliced ones as that’s what I had on hand. I also substituted Harvey’s Bristol Cream for the medium-dry sherry specified. Hey, you know where I live. I can’t buy liquor on Sundays! I might add, the HBC worked just fine. 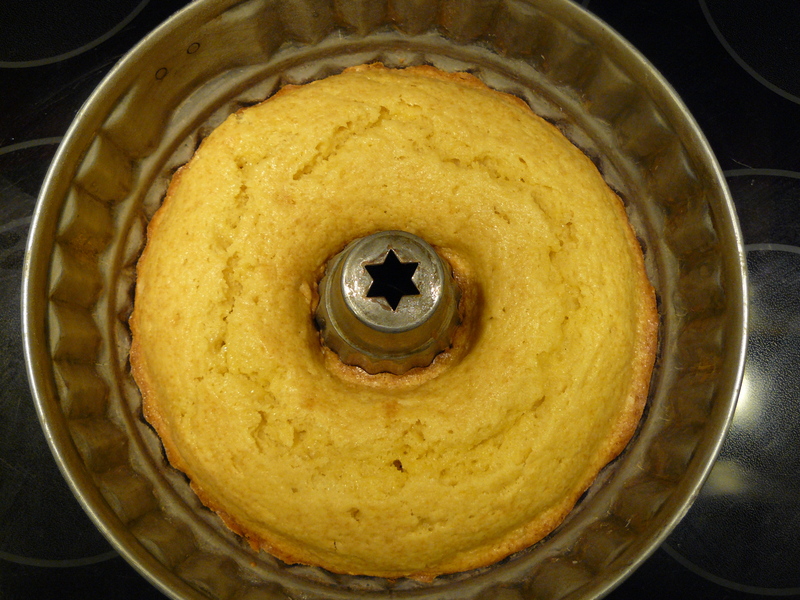 Click on Sundial RECIPES for the details–and to compare my cake picture to Tom’s! 🙂 How’d I do? Not bad for amateur hour, eh?